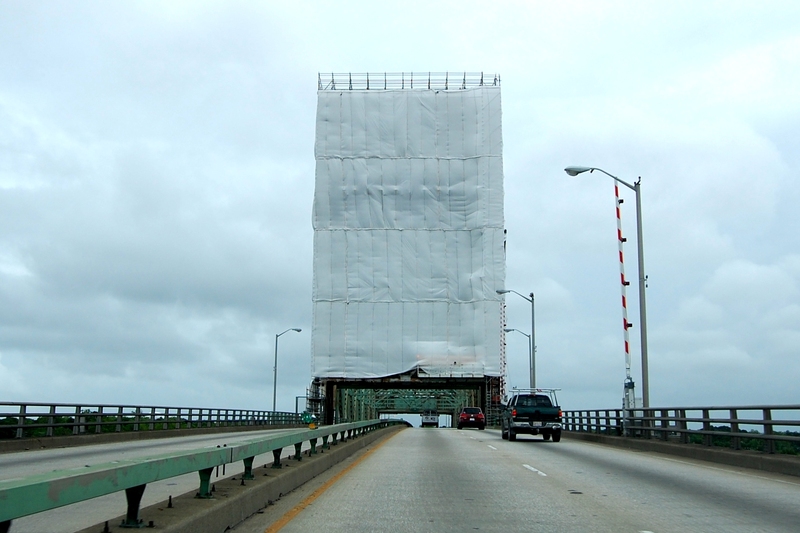 Due to the current Cape Fear Memorial Bridge paint project, I get to spend my mornings getting creeped out by the gauzy sheets covering the inbound side. It’s kind of hard to explain, but the bridge’s new “shroud” just makes me hyper-aware of the fact that I’m crossing over a big, old, rickety beast four times a day. It was a cloudy day, else I would have made sure to get the sun coming up behind the sheets, giving it some extra spook.